Have you ever wondered which Inverter is best to choose from? The article below is one persons opinion but does raise some interesting facts about the differences of the inverters and has some opinions from customers directly. I will leave it here for you to make up your own mind. Want to put Solar on but only have a South Facing roof? Have you ever wanted to reduce your electricity bills by installing Solar and been told that you can't as your roof faces South? Or is your North facing roof fully shaded? 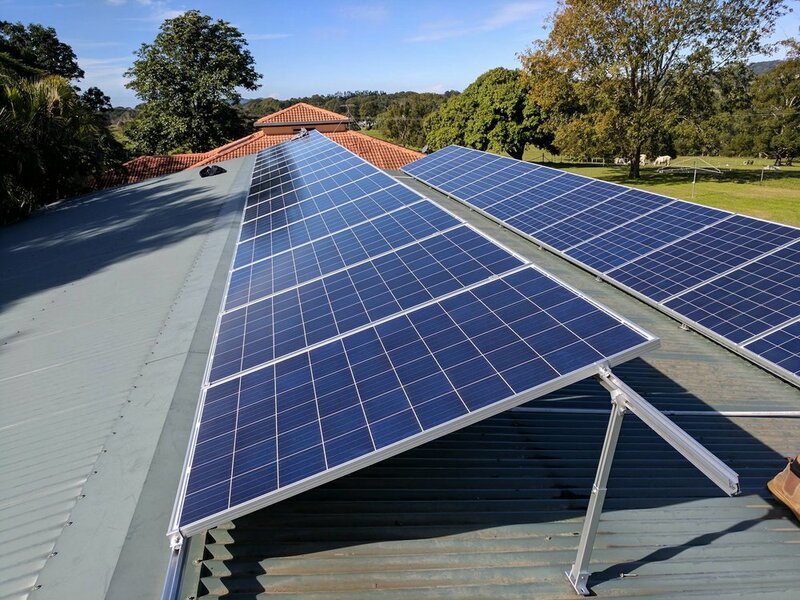 Anyone who has looked into installing solar in Australia would have learned quickly that installing on a North facing roof is best, Northwest or Northeast are generally the next best directions followed by due west or due east, but what about South facing roofs? Well don't despair, new technology has now enabled installers to reverse the direction of installation. Recently one of our clients had this exact problem and we were able to help them out by installing their system on reverse tilt, which allowed the direction of the panels to be tilted to the north instead of the same direction as their roof faces. If you have this problem then give us a call on 07 5590 7377 and let us help you! What to do next? Solar Bonus Scheme ending soon! The rush when the bonus scheme was first released to lock in a 60 cent per kilowatt feed in tariff was the highest in Australia. However, with this coming to end at the end of this year (31st December 2016) many people are now wondering what do they do next. Well don't get into too much of panic, we at Positive Energy can help you. Firstly you will need to speak with your current electricity retailer about your current metering arrangements. For instance do I have a Gross meter or Net meter. Secondly you will need to decide on the best option for you, whether you want to keep your existing meter or change meters or even consider new technologies that are now out on the market. If you decide to change your meter, then Positive Energy can assist you, we are accredited Level 2 installers and can change you over to a net meter or even install a smart meter. You can not just ask any electrician to do this job they must have level 2 accreditation. Thirdly you should do some research as to which electricity company provides the best value for money for solar (consider rates, feed in tariffs and supply charges). Now is the best time to investigate what products are out on the market and consider all your options. Don't leave it too late!! !